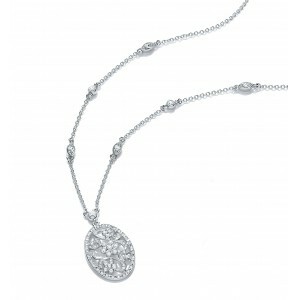 Floral accents and dainty crystals grace this elegant vintage inspired pendant. Suspended on a beautiful rolo chain laced with pristine hand set crystals, this will add antique allure to any ensemble. Matching earrings (E2065) and ring (R449) also available.